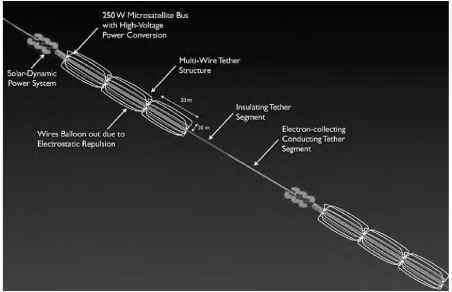 Tethers and space elevators have a wide range of potential advantages over conventional space propulsion and launch technology, which may make space travel more efficient, easier, and cheaper. Then again, the use of tethers in space also faces many challenges. A large number of these can surely be overcome through sufficient amounts of analysis, testing, and money, but others may turn out to present serious hindrances (and to find out if they do may also take a lot of analysis, testing, and money). Too much risk avoidance will not get us anywhere, but being overambitious and wanting too much too fast may be costly and may hamper the continuation of tether technology development (as happened with the two Tethered Satellite System flights of the Space Shuttle, which are generally and somewhat unfairly regarded as unsuccessful, and have not been followed up by any similar mission). This chapter describes some of the most critical challenges to space tether development.